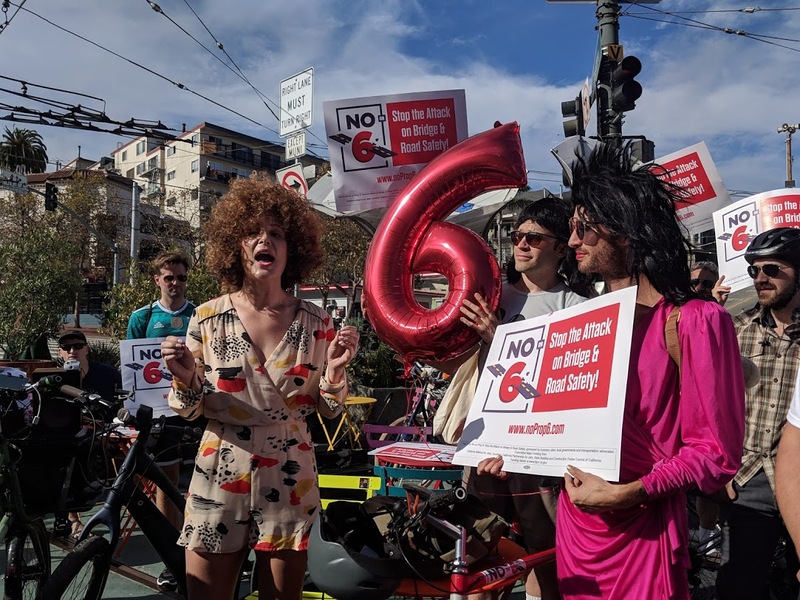 Cyclists decked out in wigs, sequins and stilettos took to the streets of San Francisco's Castro neighborhood this weekend to advocate against Proposition 6, which would repeal a recent increase in the state's gas tax and vehicle fee. 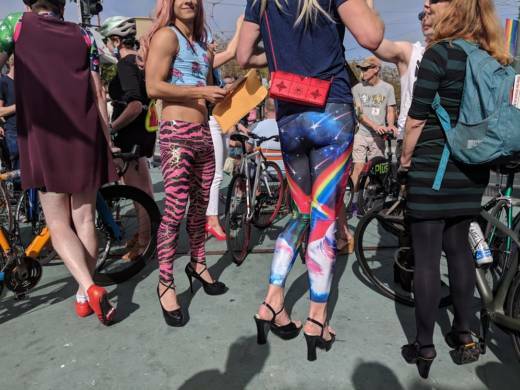 The "Hair and Heels" bike ride was organized in response to comments from California congressional candidate Diane Harkey. 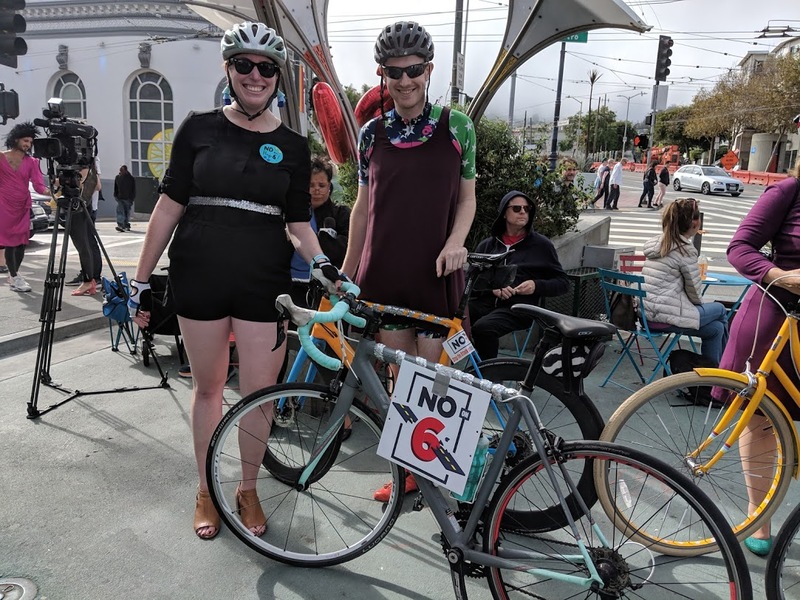 Harkey said that if Proposition 6 didn't pass, people would be forced to bike and take trains, and that wouldn't work for her because of her "hair and heels." 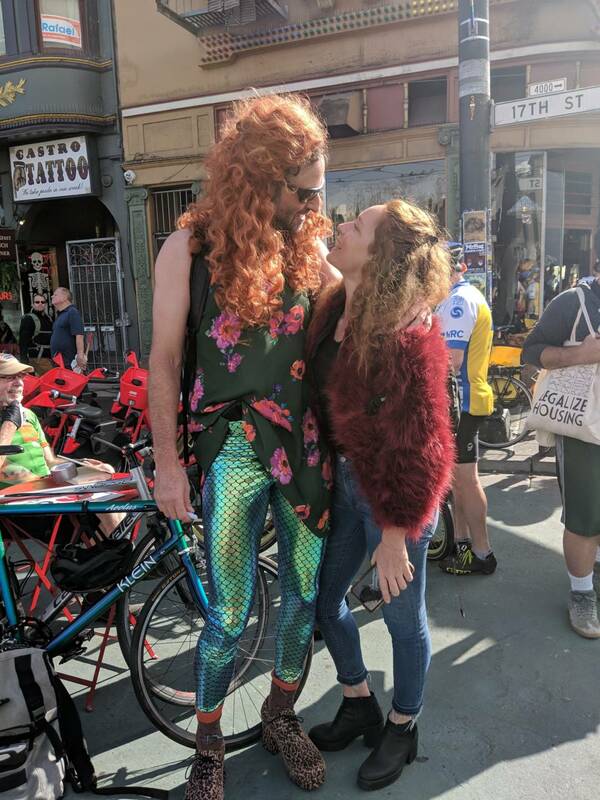 "She can drive if she wants to," said state Sen. Scott Wiener, who helped organize the event, "but other people do ride bikes with hair and with heels, and people should be able to choose how they get around." 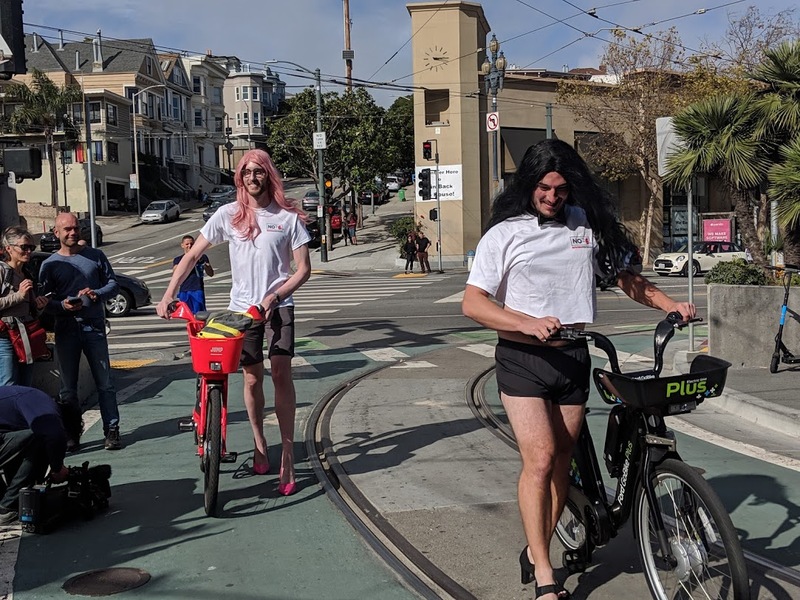 Wiener joined forces with Emeryville Mayor John Bauters, YIMBY Mobility and the San Francisco Bicycle Coalition to organize the wacky "Hair and Heels" ride-turned-political-rally. 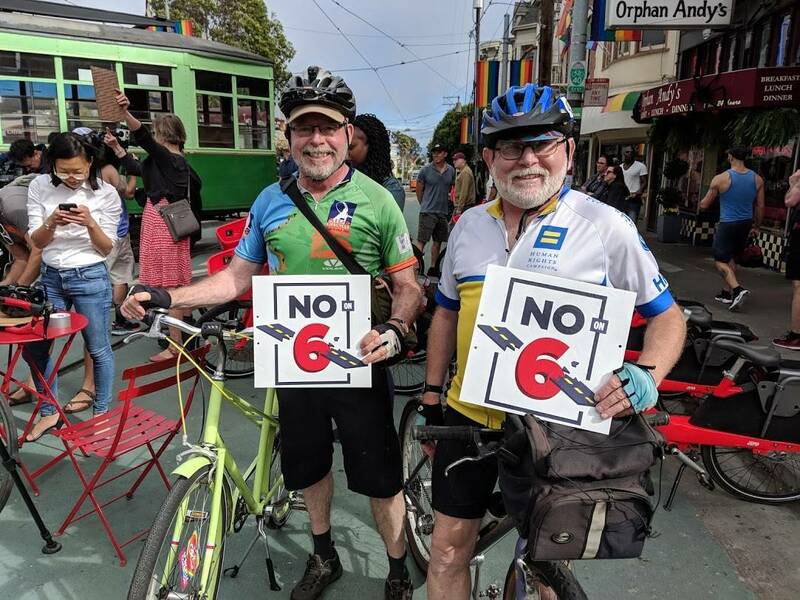 "No amount of props like hair and heels changes the fact that working families can't afford gas [tax] and car [fee] increases," said Carl DeMaio, chairman of the Yes on 6 campaign. The revenue from the increase is expected to bring in about $5 billion annually for 10 years and go toward improving roads and public transit. 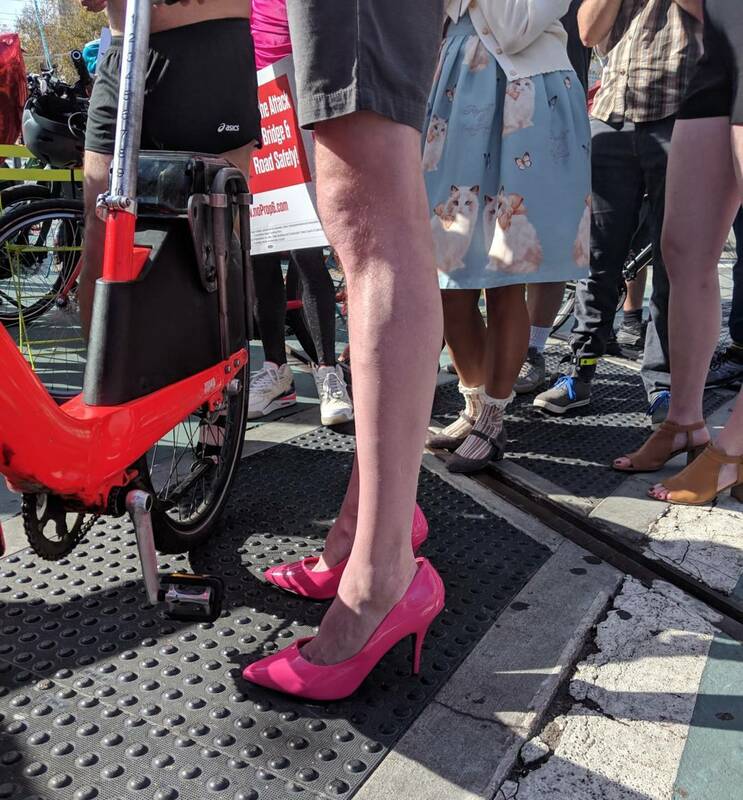 State Sen. Scott Wiener wore pink pumps for the ride. 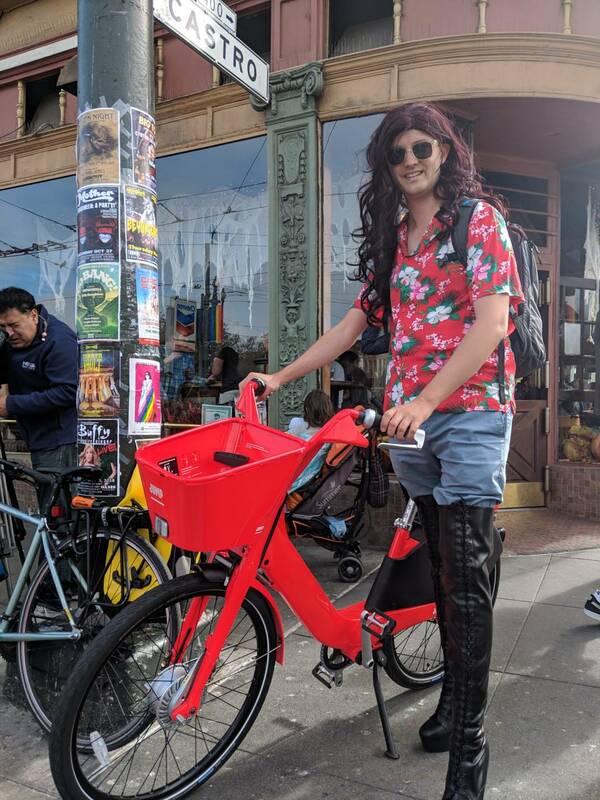 Matthew Lewis dressed up as his girlfriend, who came with him. "She's my hero because she rides all over the place with her hair and her heels every day of the week,” said Lewis.